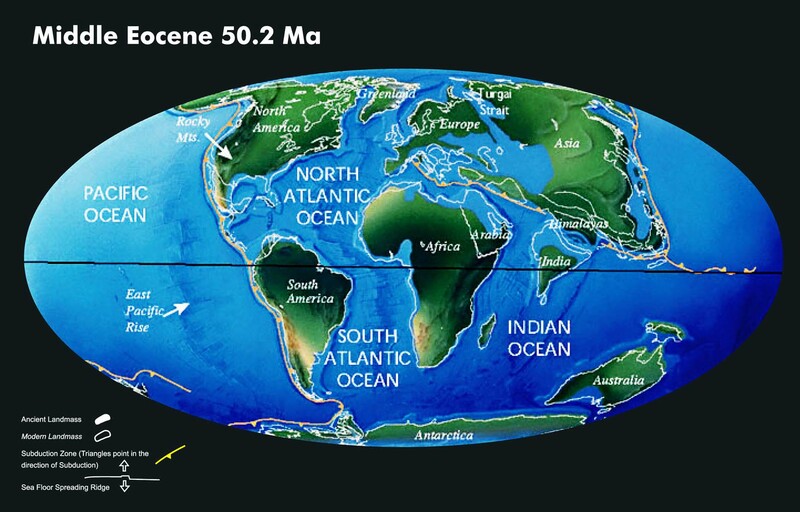 During the last 65 million years plate tectonic processes gradually produced the configuration of the continents we see today. Some of the continents that once comprised Gondwana migrated north as the intervening Tethys Ocean was consumed by subduction. 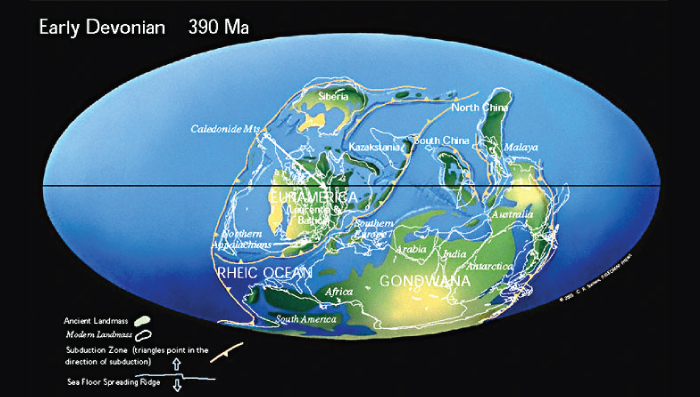 The former Gondwana continents Africa, India and Australia collided with the southern margins of Europe and Asia resulting in the formation of the largest mountain belt or orogen on Earth today, the Alpine-Himalayan mountain belt. Australia is currently colliding with parts of the Indonesian arc and will someday collide with other parts of SE Asia. The South American continent has not pushed far enough north to cause an equivalent orogen. 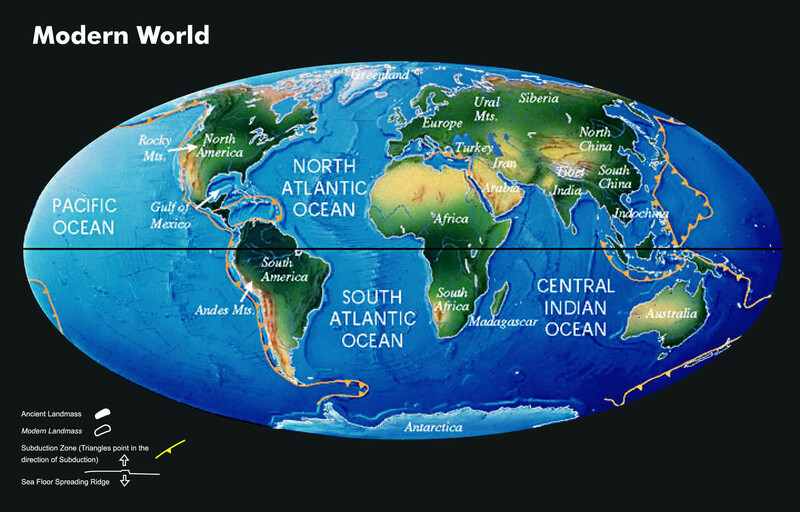 However, plate tectonic processes resulted in formation of the Panama Isthmus connecting North and South American and had an enormous impact on global climate by rerouting the ocean currents in both the Atlantic and Pacific Oceans. Plate Tectonic maps by C.R. Scotese, PALEOMAP Project. Copyright © Stephen Hui Geological Museum. All Rights Reserved.